It’s a NYC favorite – now in its twentieth year! Bring a blanket and enjoy this free early summer performance featuring the ISO Symphonic Band and Orchestra. Each year we feature the works of Green-Wood’s permanent residents like Fred Ebb, Louis Moreau Gottschalk, and Paul Jabara. This year’s concert will include a special program to celebrate the 100th birthday of Leonard Bernstein, the famed composer and conductor of the New York Philharmonic, who created timeless works such as West Side Story and On the Town, among others. The concert is free thanks to the generous sponsorship of the Brooklyn Daily Eagle, but RSVPS are recommended. 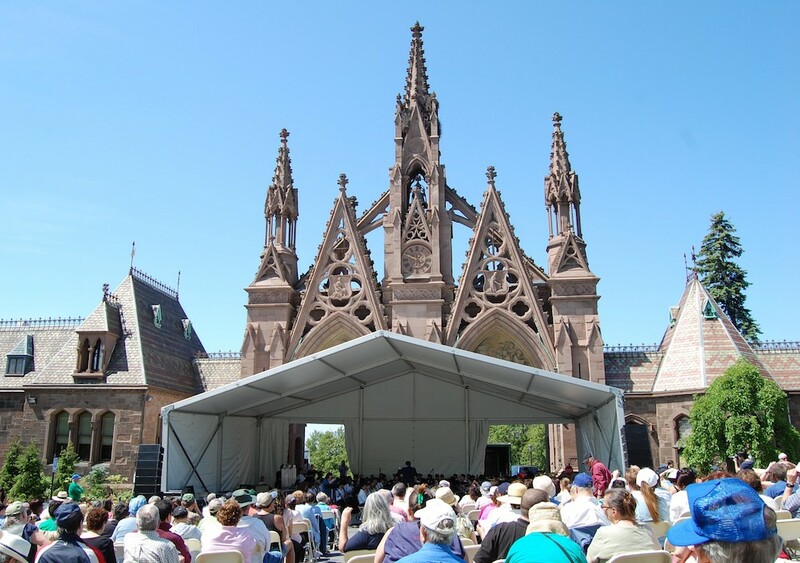 Please make an optional donation with your reservation, to help Green-Wood continue to offer these events free of charge. This year, the concert’s sponsor, the Brooklyn Daily Eagle, proudly telling the story of Brooklyn and New York to the world since 1841, will have a table at the event, where veterans and their families can tell their stories.